Bright Ideas Press is one of my absolute favorite homeschool curriculum publishers! They publish our FAVORITE history curriculum, The Mystery of History. You can read our review here. They have put together a great FREEBIE just for HSG subscribers. Scroll down to claim your freebie! 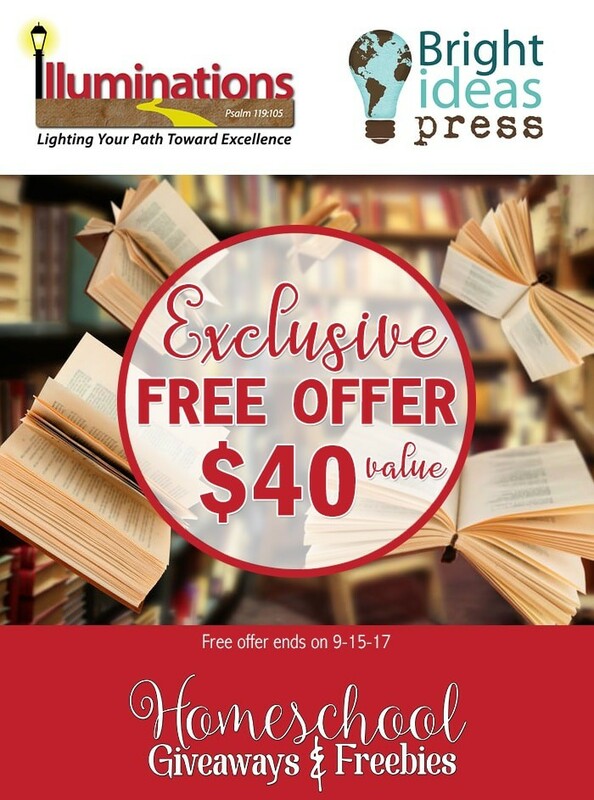 Take your family on an exciting journey exploring the early days of America with 4 FREE Family Literature Studies from Bright ideas Press: Carry on, Mr. Bowditch by Jean Lee Latham, The Witch of Blackbird Pond by Elizabeth George Speare, Indian Captive by Lois Lenski, Johnny Tremine by Esther Forbes. These Family Literature Studies are valued at a total of $40 – your’s FREE! Each three-week study offers a variety of components to enrich your student’s reading assignments, including: hands-on activities, discussion questions, vocabulary words, and activities specifically designed for older students. Your student will turn the last page knowing more of the people who shaped the United States, the deeply rooted values they held, and the struggles and triumphs that are our history. Scroll down to claim your freebie! Bright Ideas Press Family Literature Studies are part of the Illuminations Curriculum. 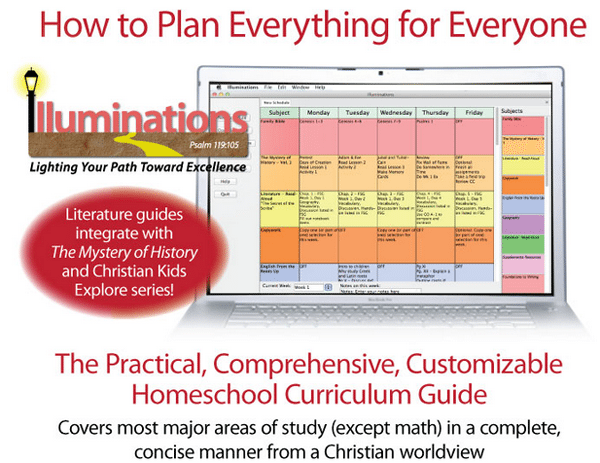 Illuminations is a practical, comprehensive, customizable homeschool curriculum guide with a Christian worldview. Tired of planning it all yourself? Do you long to teach your kids together at the same time? Have you ever felt overwhelmed by all the planning you need to do? Do you ever wish you could find all your plans in one place? This FREE offer has ended.